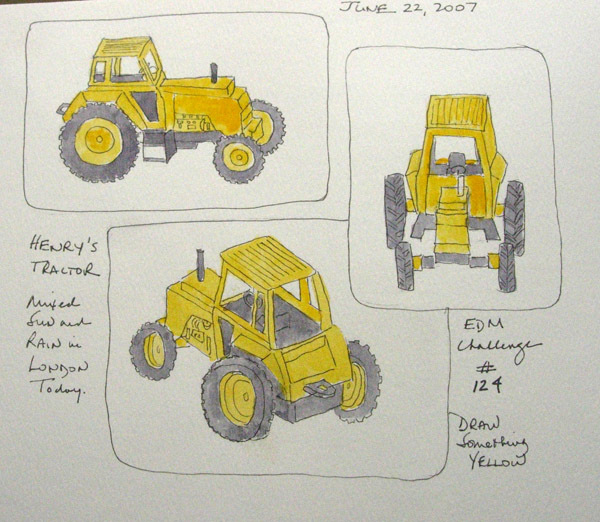 We arrived in London on Tuesday and the only interesting yellow object to sketch was my grandson's toy tractor. 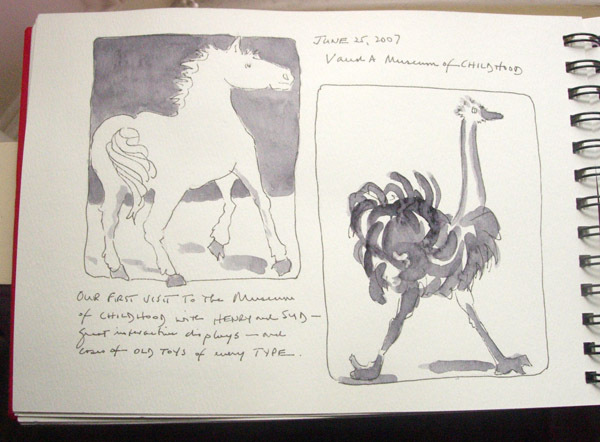 It gave me lots of practice with perspective and he always remembers pages in my sketchbook that relate to him. 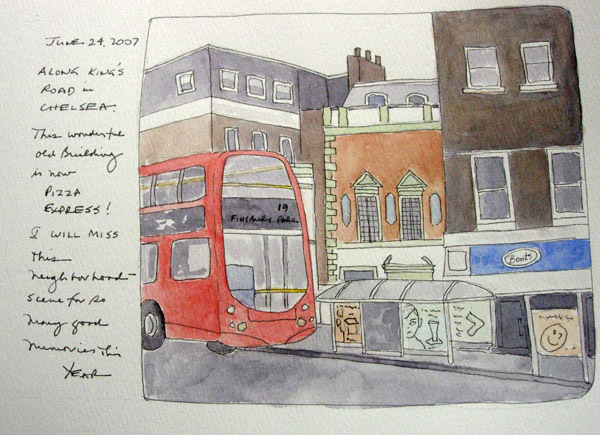 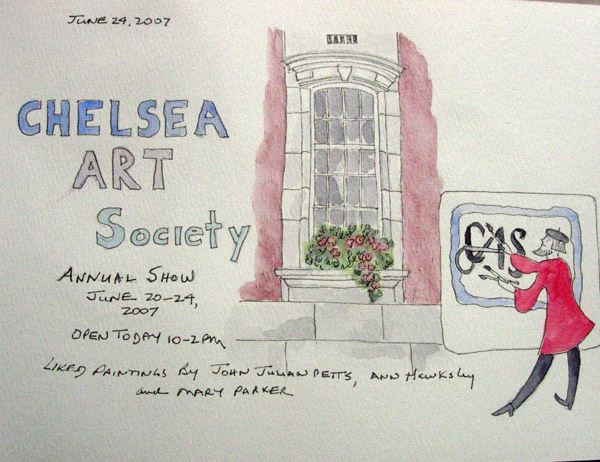 Even my 2 1/2 year old grand daughter asked to see a page of her toys that I did last October - that are in a London travel sketchbook that is back in New York. 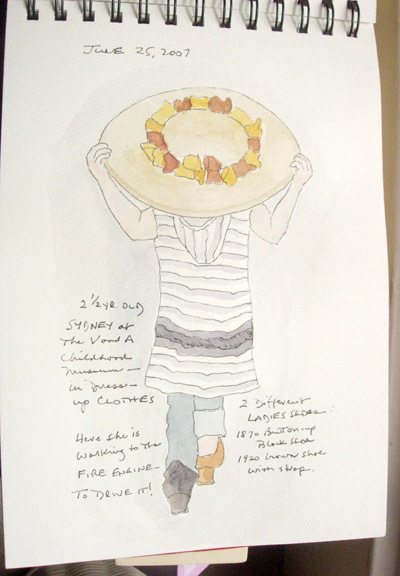 I photographed my journal page and then resized it with Photoshop Elements. 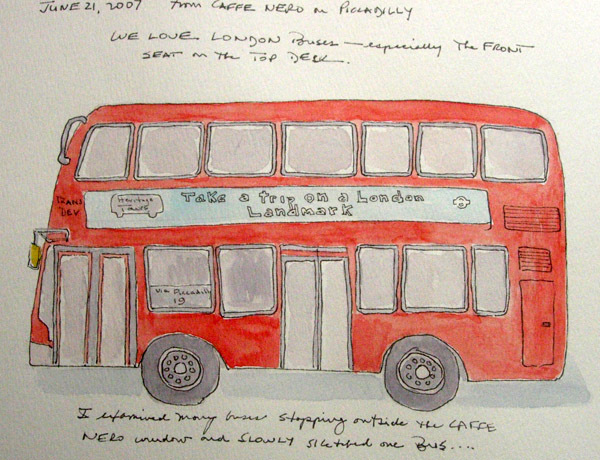 We lived in San Antonio for 18 years - and I never considered sketching the Alamo. 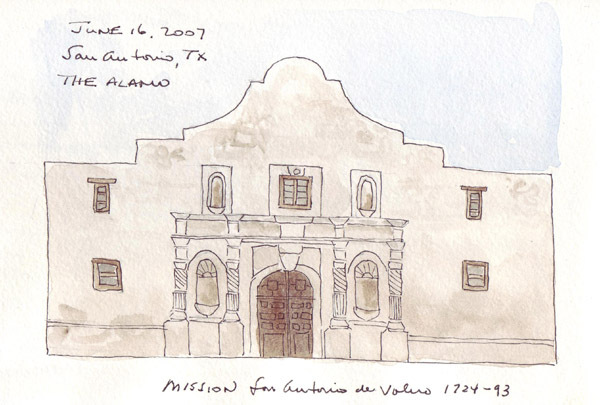 While there on a business trip this week I sat on a curb in Alamo Plaza under the hot Texas sun and sketched this picture of the original front of the mission. 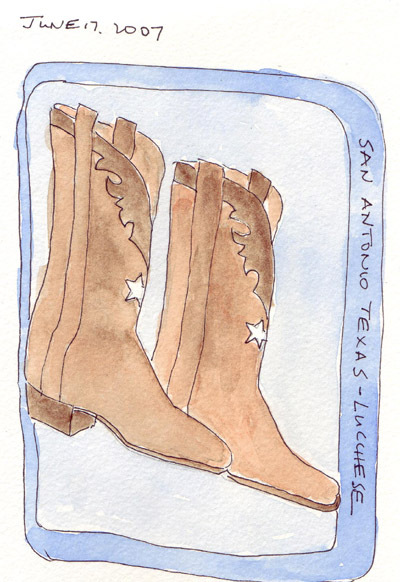 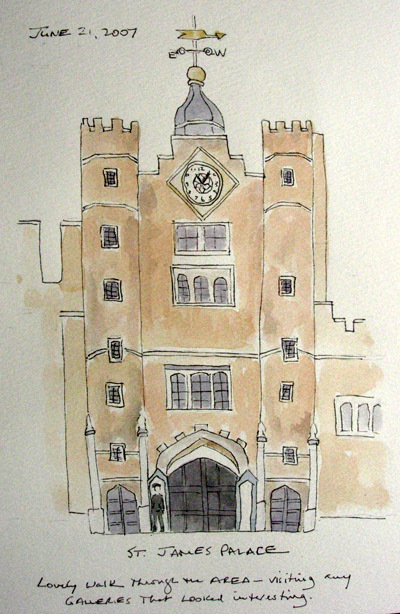 Then, to capture more of the flavor of the city, I sketched Lucchese boots the next day.